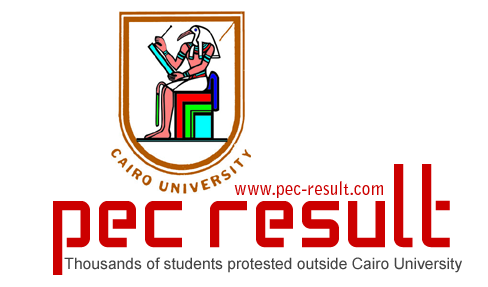 Egyptian security forces fired to scatter the huge riot created by students outside the Cairo University. On Tuesday, 20 peers of Islamic Al-Azhar University in eastern Cairo have been arrested by security forces for making a protest against the authorities having military support. The students of the university created a huge uproar and collided with the police in support of their peers. In July, military removed President Mohammad Mursi from his authority, from that time the security forces started a continuous brutal crackdown against the supporters of expelled Islamist leader, they killed more than 1500 people who are the supporters of the group of the democracy biased personalities. 10 local and 3 international rights groups emphasized Egyptian authorities for the removal of those reforms of the security agencies that made the forces less likely to answer about the brutal and immoderate use of power. They also impelled the authorities to form a committee to inform them about the investigation about the vicious crackdown situations. A security official informed that a day after the riots and arrests at Al-Azhar University, the students of Cairo University were so furious that they set off for a rally toward a huge area that connects the campus grounds and they were linked with a busy trading area and after that long march they collided heavily with the security forces. The security official also said that students were throwing water-filled plastic bags on the police and forces. In its reaction police fired tear gas on the students to scatter them, they called more vehicles with heavy weapons as troops, and the police wired the university area to stop the students’ way to the university. This scenario is described by a student of Cairo University, Hazen Tarek, as he said that thousands of students faced tear gas by the police when they went out with the rally to support their companions at Al-Azhar University. He said that roads were giving the look of a battlefield among students and police. In that protest, 4 students were got bruises by the hits of shotguns. This type of protest was not the first one, as the students also protested in the last year. At two universities in the southern city of Assuit, there was a vicious encounter between police and the students. The students throw stones on police, in the reaction police fired tear gas. 18 students were arrested in this encounter, informed by the Security official Maj. Gen. Abu el-Qassem Abu-Deif.